Cartridge guns are designed for the controlled application of pastes, gels, adhesives and other assembly fluids. For use with industry standard industry plastic cartridges as well as silicone tubes. Industrial grade products for regular use. The AD16 gun is a hand operated, high quality metal dispensing gun designed to accept cartridges for the manual application of sealants, adhesives, potting compounds, and other materials packaged in disposable cartridges or Techkit, Semkit multi-component materials. A threaded retainer provides a tight fit into the ratchet handle, permitting uninterrupted operation. Custom size retainers accommodate 2.5, 6, 8, 10 and 12 ounce size disposable cartridges. Cartridges allow use of standard nozzles. Needle tip adapters can also be used with the cartridges for attachment of all standard needle tips. All guns are all covered by a 12 month manufacturers warranty. Cartridges are inserted into the cartridge gun threaded metal retainer. This ensures the cartridge does not move under constant use from hand pressure. Available in 5 sizes, 2.5oz, 6oz, 8oz, 10oz and 12oz. All products are industrial grade and are covered by our no-quibble One Year warranty. 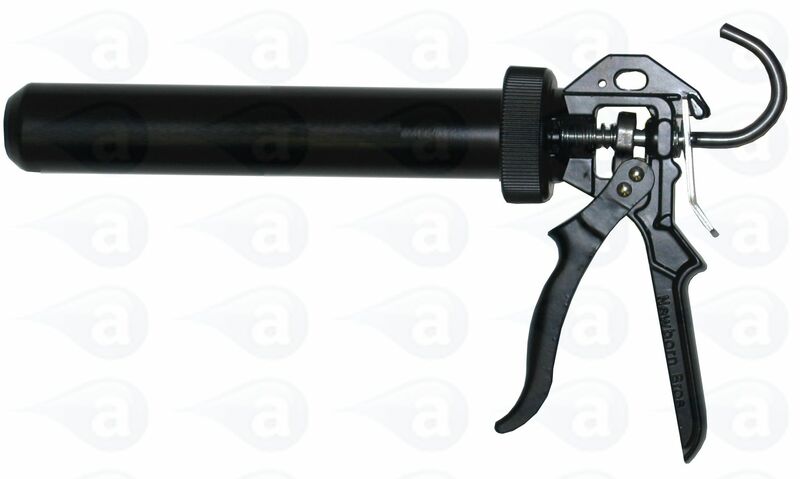 The AD16 manual cartridge gun is a hand operated, high quality threaded retainer designed to accept cartridges for the manual application of semanual cartridge alants, adhesives, potting compounds, and other materials packaged in disposable cartridges. A similar alternative to the TS series guns. In various sizes. Items are shipped from the UK by a courier on a next day tracked and insured service for all items that are available from stock. Items on a lead time will be shipped as soon as they are made available.